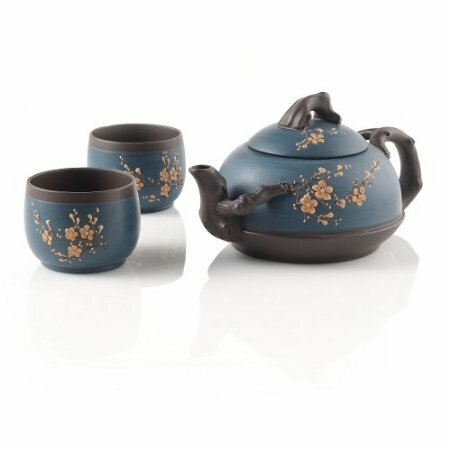 If you are searching for a teapot that also doubles as a décor, then you should buy this item. Its cherry blossom design that symbolizes new beginnings provides beauty, while the strainer basket and 16 oz. capacity make for its functionality. Two cups bearing a similar design completes the set.